Managing the signs at one complex can be a challenge everything from proper parking signs to move in specials and leasing opportunities. Denver Print Company has been working with some of the largest property management companies in the United States to improve their signage and to make the process of upgrading signs anywhere in the USA a hassle free experience. When you order with Denver Print Company you get a 1st rate design company, superior print quality and professional installation team that is more than capable of problem solving to get the job done correct and on time. We know how important it is that you get the signs you need on time and that they meet your exact specs for compliance and safety. We begin every job with a site inspection to insure all sign locations are measured, materials and surfaces are covered and compatible and a plan of attack is developed. 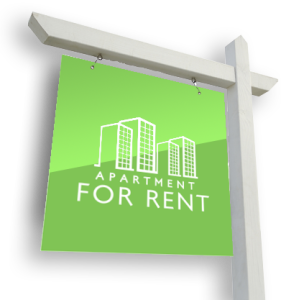 Denver Print Company covers all sign needs for properties in and around the premises. Starting at the entry to the complex we have cost effective solutions in monument signs and direction signs as well as large map displays. Next would be additional directional signs and custom designed parking signs as well as large unit number / building number signs that help identify the buildings from a distance. Down to the small signs inside the building stairwell signs, bathroom signs, unit number signs, pool and recreational signs as well as all forms of warning and doorway signs. We have several patterns and materials available for all of these signs. We can work one on one with the builders or interior designers to create any custom sign requested. Every property is designed differently using unique materials and style to give the property a custom look and feel. 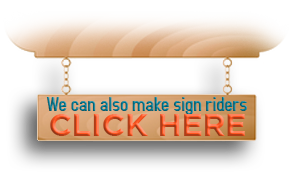 When looking for a sign company to develop your property signs you will likely want someone with years of sign design experience. With design experience our experts will give you the right kind of feedback to help you reach your goal faster and save you time and money. All requested signs pass through our professional design department where the most important factors to the sign are double checked and a proof of the sign is produced. We look for things like consistent sign sizes, all measurements, material selection, color selection and file value. If at anytime something does not line up or match our designers will contact you directly to double check. This process although it may seem like over redundancy helps us eliminate any errors that can occur during our communication. Denver Print Company has been all around the United States installing custom property signs for large and small management companies for the last 15 years. Our clients appreciate our commitment to detail and our willingness to go the extra mile to get the job done on time and in budget. In the last 15 years we have had an amazing track record of jobs under budget! That means we get it done faster and pass those savings onto our customers.